It can be difficult for a young person to believe that they could soon own their own home, but one company is trying to make that possible. Studio ARTE has created a prototype tiny home from a shipping container that is meant for nomad living. According to designboom, they hope that their prototype can serve as a dream come true for many. 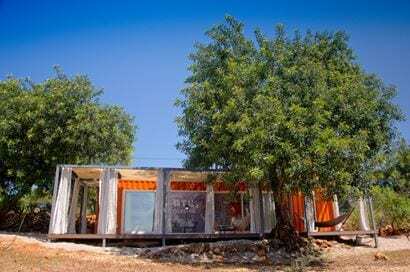 Their goal with the shipping container prototype, which is currently located in the beautiful Algarve region of Portugal, is to show how versatile a shipping container can be. 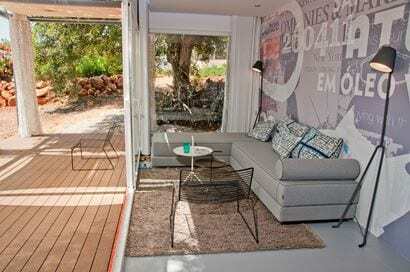 It can be used as a first-time home for young people, a holiday home, a concept for holiday resort planners, a shed for guests, a home office, a home studio, a pop-up, or hotel room. “Our mission is to create environments that will astonish you and push your imagination forward, surpassing all expectations,” the Netherlands and Portugal based company says on their website. 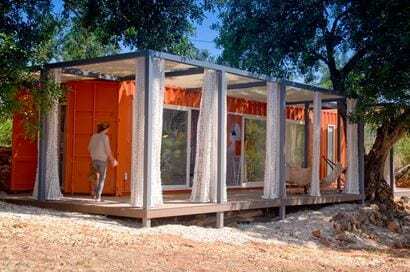 The shipping container prototype is called the Vale de Vila and is 255-square-feet. It boasts a living area, eating area, and bathroom. The living space has a giant sliding glass window which opens out onto a deck. It allows a large amount of natural light into the space and also makes the space feel larger since you feel as if you are outdoors. Large decks surround the home on three sides and can be used for entertain, lounging, a cooking space or whatever else your heart desires. 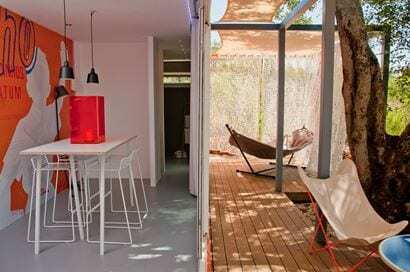 The deck is surrounded by curtains which can be pulled for privacy. The large glass window extends into the eating area so you can 0bserve nature while enjoying a meal. “This mobile FLEX living PLUG & PLAY concept is our economic domicile solution,” StudioArte tells archilovers. 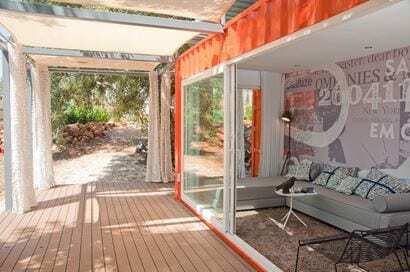 The Vale de Vila was also painted a bright orange to complement its natural surroundings and to give the unit a lively feel. These containers can also be upgraded with electrical work, as well as other architectural, mechanical, engineering features, or solar panels. The Vale de Vila also complies with local building regulations. 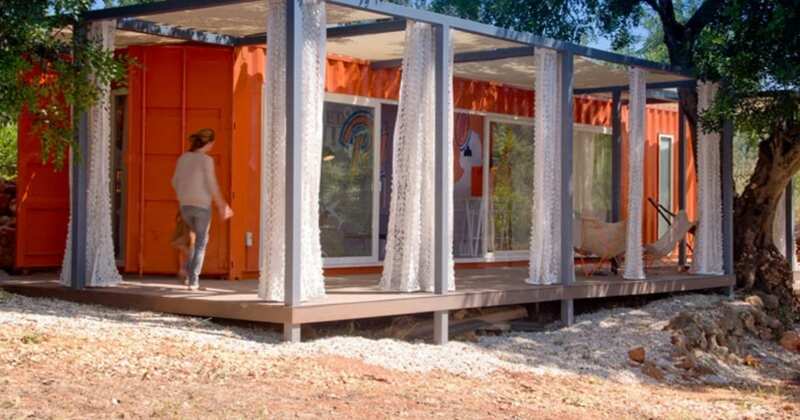 Many are opting to create tiny homes from shipping containers because they are inexpensive and is a form of recycling. Used containers can run you between $800 and $6,000 each depending on the size, age, condition, and how far it needs to be shipped. A 40-foot container will give you about 320-square-feet. It also takes less energy to reuse a container than to melt one down and use it to make steel beams.